An amazing Sing-A-Long | Play-A-Long concert for young children and their parents & grandparents! 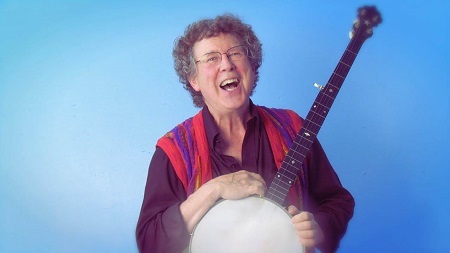 Hugh Hanley is a nationally–known early childhood educator and musical entertainer who specializes in programs for young children and their teachers and families. His cordial style welcomes and encourages participation, so the audience becomes part of the show. Hugh accompanies his singing with guitar and banjo and draws on a wide repertoire of songs, fingerplays, and music activities that are engaging and accessible to young children, but they’re so much fun that the grown-ups will love to join in too! Hugh has been singing with young children for over 35 years. His work has helped him gain an understanding of young children as developing music makers and a familiarity with the environments in which they play and learn. He has learned all of the material he uses in his work from folk traditions, children, and their teachers and parents. For more information check out Hugh’s Official Web Site by clicking the image below!